Q. It’s your 5th year off treatment on the 20th September – how does that feel and how are you going to mark the occasion? A. It’s a great feeling. I’m going to celebrate by going to Ciao Bella with my family for steak and lemon sorbet! Q. What has changed in your life? A. Because I’ve gone through this at such a young age, I feel I have grown up much more quickly than anyone else my age. I am very aware of when I feel ill and towards the end of my treatment I began to suffer with anxiety. Q. Do you have any long term side effects? A. I have anxiety and worry when I’m not feeling well and worry about being ill.
Q. What would you like to do when you are older? A. I would like to work in TV and film as a costume designer. Q. 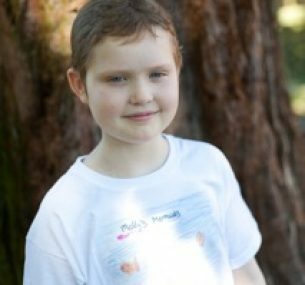 Do you have any advice for other children currently being treated for cancer? A. Try not to worry and trust the doctors and your parents to look after you. If you’re at GOSH and you feel like eating, get a takeaway from Ciao Bella (a restaurant at the end of Great Ormond Street where we used to go when I had some of my appointments and where my parents used to get takeaways from when I had my longer stays in hospital). It will make you feel better! Q. Why do you think funding childhood cancer research is so important? A. Because research works and more children’s lives are being saved because of it. Q. 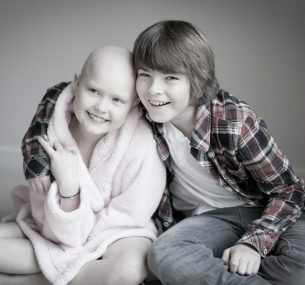 What message would you like to give to anyone considering supporting Children with Cancer UK? A. Please support the charity – you will be helping to save a child’s life. In May 2011 my daughter Molly, aged eight, was diagnosed with non-Hodgkin Lymphoma, a type of blood cancer. 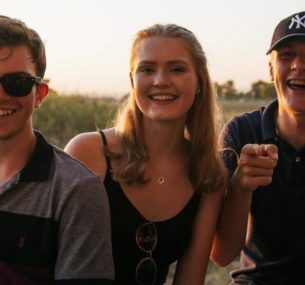 Over the next two and a half years she received almost daily chemotherapy, had lumbar punctures, blood transfusions, Hickman lines and a Portacath inserted and removed. And she took more pills than you could shake a stick at. She puked constantly, lost her hair, regrew it, lost it again, puked some more and grew her hair back. On a number of occasions, it felt like the chemo was doing her more damage than the cancer. But on September 20 2013 her treatment ended. Touch wood, it has all gone very well. And apart from the appalling physical side effects and total mental trauma, it was a breeze. Now we just wait to see if it comes back. Cancer is all about the waiting. However, no matter how bad it was for us, her parents, it was incomprehensibly worse for her. Yet she just got on with it and did what was asked. That’s not to say that she didn’t hate most of the treatment, but that she blindly trusted us, just as we blindly trusted the doctors, nurses, consultants and surgeons. And you answer ‘where do I sign up?’ What choice do you have? But it does work and the treatment is getting better and better thanks to the incredible research and work of those genius science types. The truth is that even 10-15 years ago the chances are that Molly wouldn’t have made it. But Molly has made it through. And thankfully we have a very happy and healthy 12-year-old. Or more precisely, we have a very healthy and sometimes happy, sometimes grumpy, sometimes annoying, sometimes exasperating 12-year-old. We wouldn’t have it any other way. 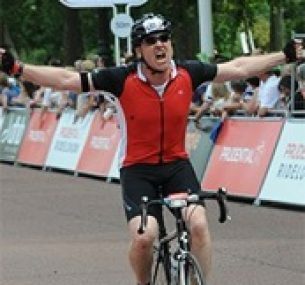 He’s taken part in our London To Brighton cycle in 2012, RideLondon in 2013 and 2015! To date he has raised over £7,000 for us. Thank you Damon.